This is one of those all-time favorite cookie recipes. The original, which a friend gave me in 1990, is a beautiful, powder-sugared covered crinkle cookie. 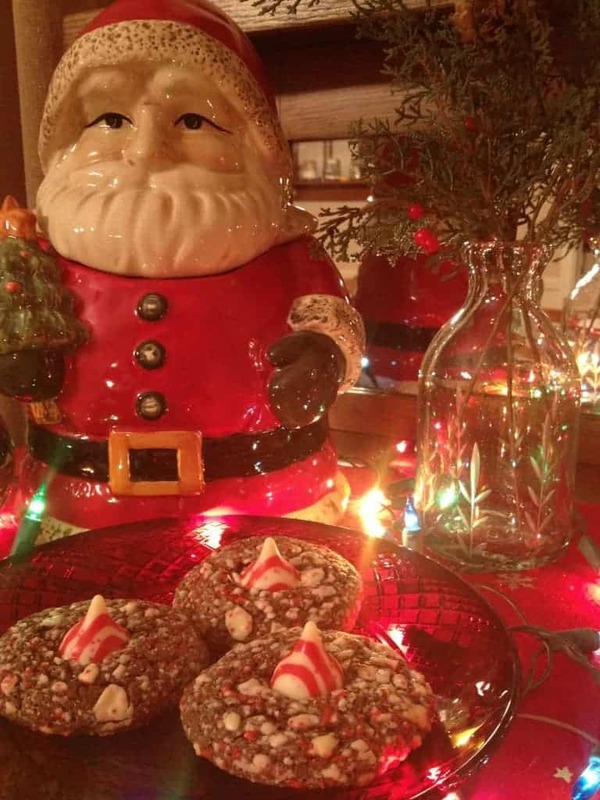 In fact, the original name of this recipe is Chocolate Crinkles and they are delicious. Two of my favorite things, cookies and brownies, wrapped up into one pretty and very yummy package. I renamed these Chocolate Doozies a couple of years ago when I had my own cookie company, and these soon became one of my best sellers. I have the best time creating variations of the original and here are this years creations. Have fun creating your very own and please share with Becky and me your wonderful ideas. **The dough has to be prepared and refrigerated at least 2-3 hours prior to baking. White Chocolate for melting and dipping the cookies. In a separate bowl, mix together the flour, baking powder and salt. Whisk together and set aside. Cream together the oil, cocoa and sugar in the mixer’s bowl. Add-in the eggs and vanilla. Mix well. Add-in the dry ingredients just until blended. The dough looks a lot like brownie dough. Spray a container with cooking spray. Pour the cookie dough in the container. Cover the dough with plastic wrap which has been sprayed with cooking spray and place the lid on top. 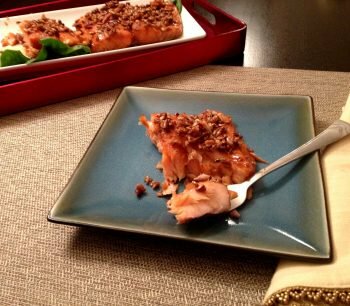 Spray a tablespoon and your hands with cooking spray – the dough is sticky. 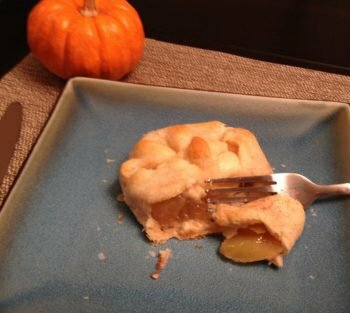 Roll the dough into balls – about 2″ across. Place the balls 2″ apart onto a parchment-lined cookie sheet. Bake at 350 for 9-11 minutes. The cookies should be a little under-baked. They are ready when the cookie gets set around the edges and flatten just a tiny bit. Move the cookies to a cooling rack as soon as you can (1 minute) – they will overcook if you leave them on the cookie sheet. 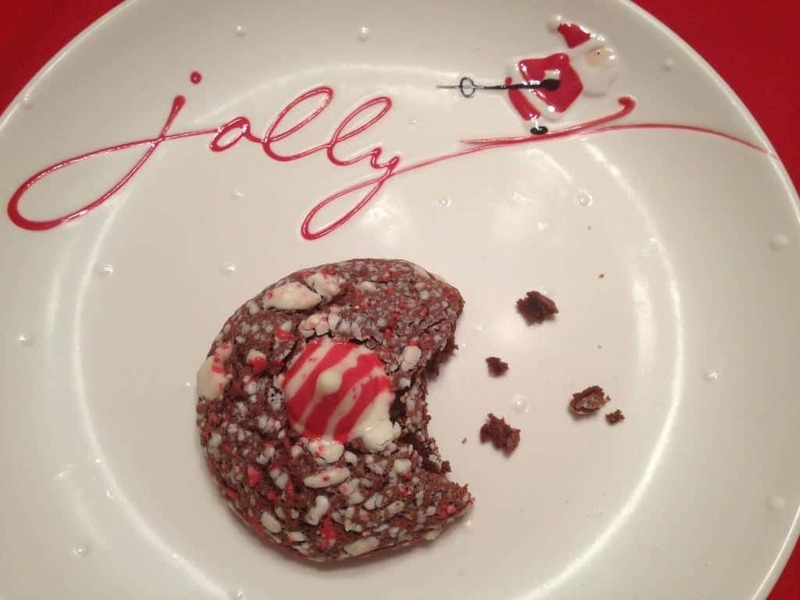 Chop half of the Candy-Cane Kisses and after making the cookie balls, roll one-half in the chopped candy. Bake candy-side up. 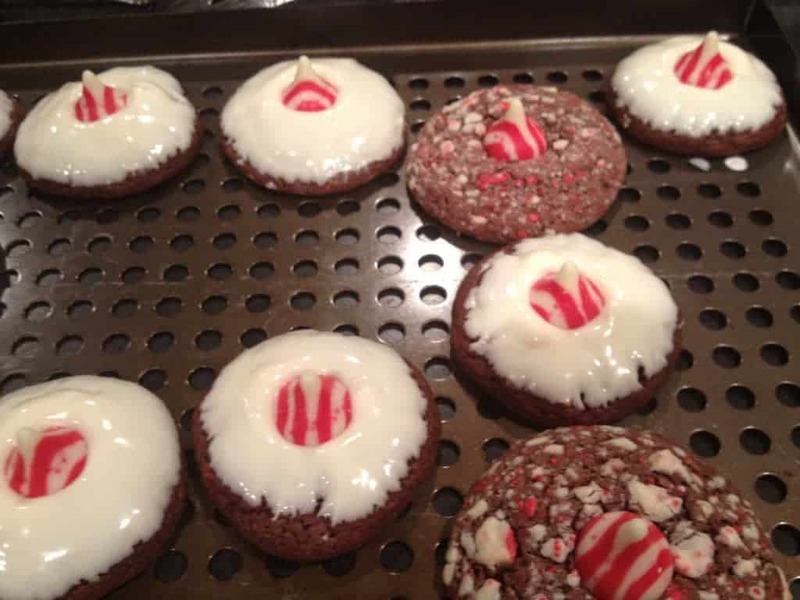 After making the cookie balls, place the ball on the cookie pan and bake. While the cookies are baking, melt White Chocolate Chips or Almond Bark. After the baked cookies cool, dip the cookie half-way into the melted chocolate. Place a Candy Kiss in the middle of the cookie. After making the cookie balls, roll them in powder sugar then bake. Yum! These look delicious! 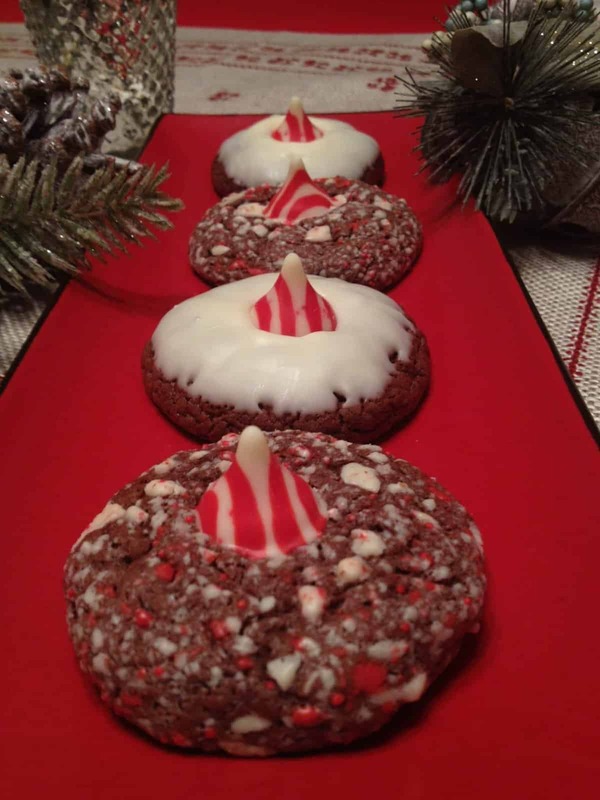 I just found those Candy Cane Kisses this year and LOVE them :) Thanks for linking to our Winter Wonderland party. oh yes, the candy cane kisses are amazing!!! soo tasty!